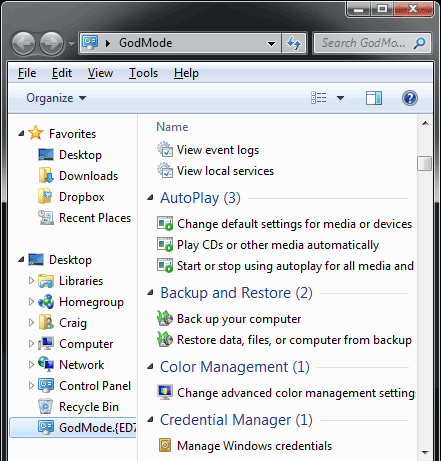 Home » windows , windows 7 » How to Enable God Mode ( A hidden Feature ) in Windows 7 ? How to Enable God Mode ( A hidden Feature ) in Windows 7 ? 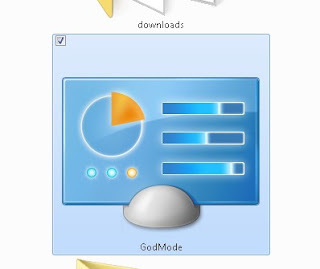 Today i will tell you about a secret feature of windows 7 Called, "God mode"
without browsing in folder of folder,propriety,start menu,or control panel etc. you can change the name(god mode) before the dot (.) but you cant change any thing after the dot that coding are necessary !